Rated a Top 50 Stand-Alone Range! Links & Tees Golf Facility is honored to be a Top 50 Stand-Alone Range by the Golf Range Association of America. This prestigious award recognizes Links & Tees for being a top-notch range that provides knock-out service. 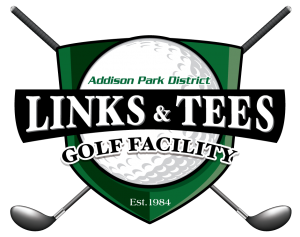 Tournaments, events and golf lessons are taught at Links & Tees, one of the finest par 3, 9-hole golf courses in the nation, located just 1.5 miles East of I-355. The course is beautifully maintained and challenging for beginning golfers just learning to play the game or low-handicap players improving their scoring shots. The course features more than 1100 yards of bent grass tees, fairways and greens. The outdoor practice range has more than 50 hitting stations with both natural or synthetic grass mats and target greens. There is also a short-game area with a 10,000 square-foot putting green, 5,000 square-foot chipping green and practice sand bunker. Our professional, award winning staff instructors will help improve your game through our new short game school, PGA endorsed programs and private lessons. Specialized instruction is tailored to golfers of all ages and ability levels. 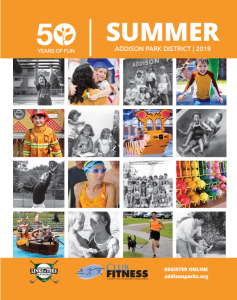 For a complete list of available golf leagues, tournaments, events and classes, check the sidebar to see our current brochure. For more information about the facility, call Links & Tees at (630) 233-7275, option 4. Links & Tees Received the GRAA Award! Monday – Friday: 8:00 a.m. – 10:00 p.m.
Saturday: 7:00 a..m. – 10:00 p.m.
*Dome hours are weather permitting. Christmas Eve and New Year’s Eve: 7:00 a.m. – 3:00 p.m.
New Year’s Day: 10:00 a.m. – 1:00 p.m.
* Hours and fees are subject to change. Please call Links & Tees at 630-233-7275 Option 4 for updates.